Normally, what you would see is the title at the top, followed by the URL or marked up breadcrumb trail and then finally the meta description. 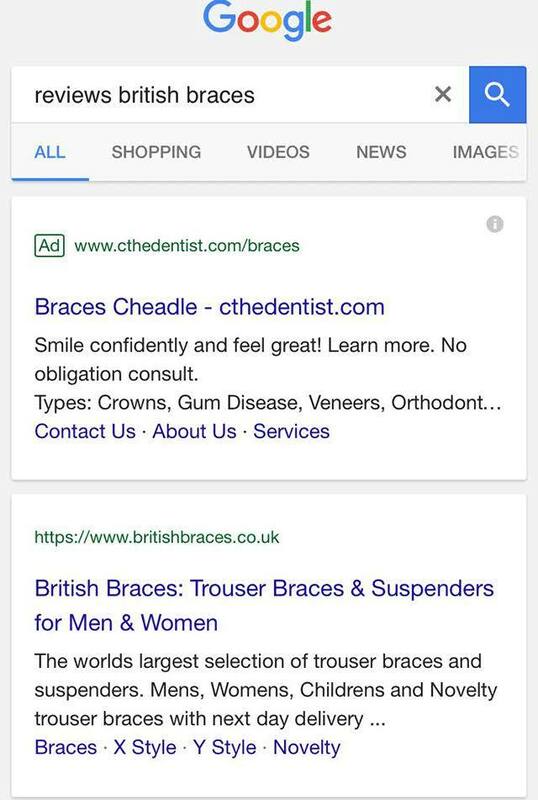 This change we find interesting for a few reasons, the first being that Google is emphasising the URL above the title, by positioning it first. This emphasis on the breadcrumbed URL first might mean SEOs should have a look at their breadcrumbs and the information architecture of their sites especially those not using schema to cover up the cracks. We've known for years that an ugly or poor URL structure does affect click through the more spammy it looks. Googles mobile SERP does support the BreadcrumbList schema although it will also pull out breadcrumbs from HTML breadcrumbs used within a webpage to show it as well, for those without schema but have Breadcrumb Lists implemented on their site. Finally, for those who don't have breadcrumbs, Google will populate a list directly from your IA folder structure. 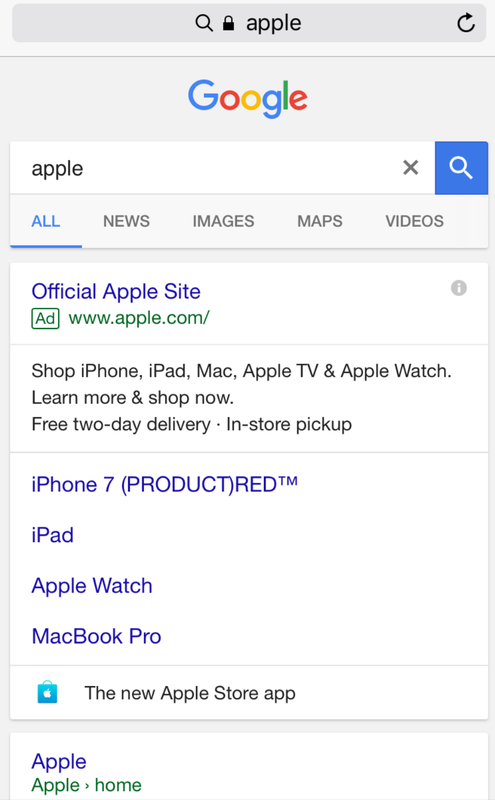 As with organic listings, the URL will appear above the title along with the "ad tag". This new design does seem to separate the “ad” tag from the result a bit and some may not even notice the ad tag with such separation from the listing. Making it seem more like an organic listing for those who look straight to the title since they have added significant whitespace to the ad. 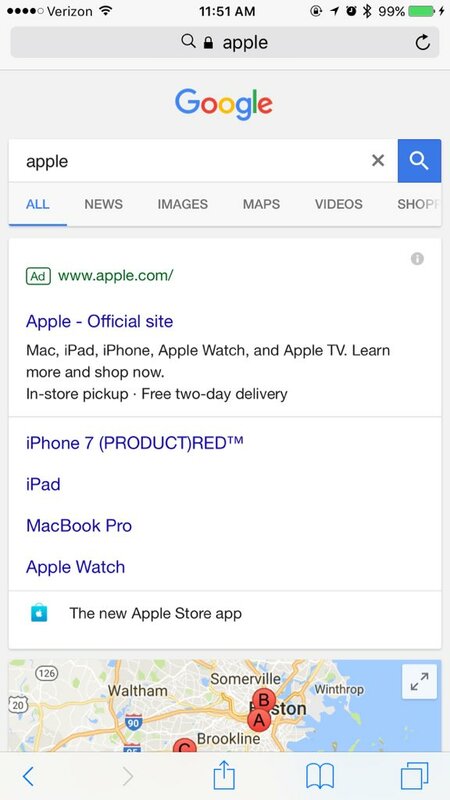 For an advertiser like Apple, it is likely that this wouldn’t have as much of an impact as a lesser known brand or for more competitive search results with a full complement of advertisers. This could also see brand bidding ads becoming more effective for click through as the lines between brand organic and brand paid begin to blur into one. This does appear to be a limited test, so advertisers may not see an impact with this depending on how many searchers see this test. But if the change becomes permanent, it means advertisers may need to consider the URL they are using a bit more than they otherwise would have in the past. Like any site, Google continues to strive for a better user experience and drive better click-throughs from search and with that comes A/B testing, the UX researchers favourite past time. Google has always been notorious for rigorous testing before deploying any changes, so only time will tell if this new look will stick or if it will be scrapped during testing. 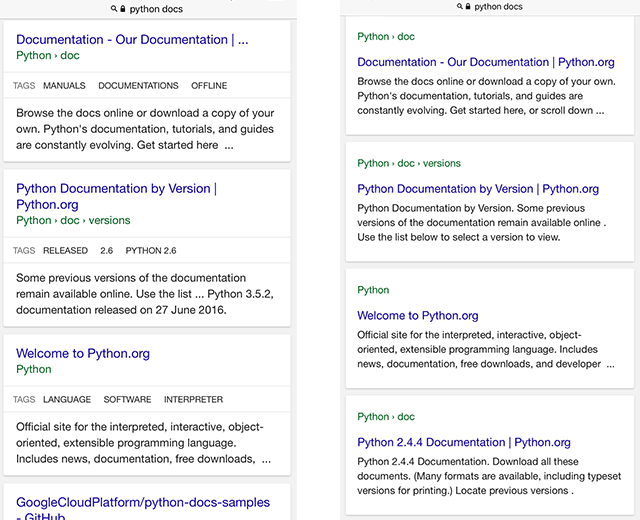 What do you make of this new look for search results? Let us know in the comments section below.